You know what happened a long time ago in a galaxy far, far away above the forest moon of Endor. As a massive attack raged in space around the second Death Star, Rebel pilots flew through the battle station's winding superstructure and destroyed the Empire's most powerful weapon. The Alliance and their Ewok allies celebrated as jubilation spread to the far corners of the galaxy. But the destruction of the Death Star wasn’t the end of the war... Endor was only the beginning. And it’s during this violent period of uncertainty and turmoil that Inferno Squad set out to fulfill their destiny and avenge their Emperor. 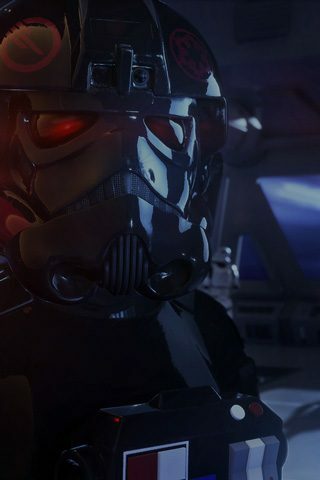 Inferno Squad is an Imperial special-ops team, trained as both deadly starfighter pilots and elite commandos. Deeply committed to the rule of law, Inferno Squad is an Imperial shield against the chaotic threat represented by the Rebel Alliance. Fearless in the face of sedition, they strike unseen and then fade back into the darkness of deep space. As the story of Star Wars™ Battlefront™ II opens, you'll accompany them on a journey though the Empire's final, desperate hour. Inferno Squad crisscrosses the galaxy aboard the Imperial Raider Corvus, traveling to where their highly-refined skills are most needed. 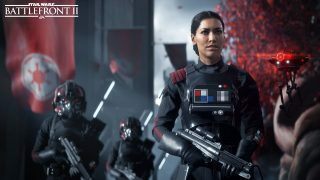 Through the story of Star Wars™ Battlefront II, their exploits will bring them face to face with some of the New Republic's most famous heroes... and also with some of the dark side's most sinister agents. With control of most star systems slipping through the Empire's dying grasp, Inferno Squad struggles to fulfill the special orders that the Emperor left behind, and in the process must make difficult choices in the face of challenges they've never imagined. Even as the remains of the Death Star II floated into space, they believed in the Empire - and you'll join their ranks on November 17 on PlayStation 4, Xbox One, and Origin for PC. Pre-order Star Wars™ Battlefront™ II now and get Star Wars™ Battlefront II: The Last Jedi™ Heroes bonus content on day one*.